The Baglioni Hotel Luna is found mere steps away from the epicenter of Venetian culture and beauty, the Piazza San Marco. 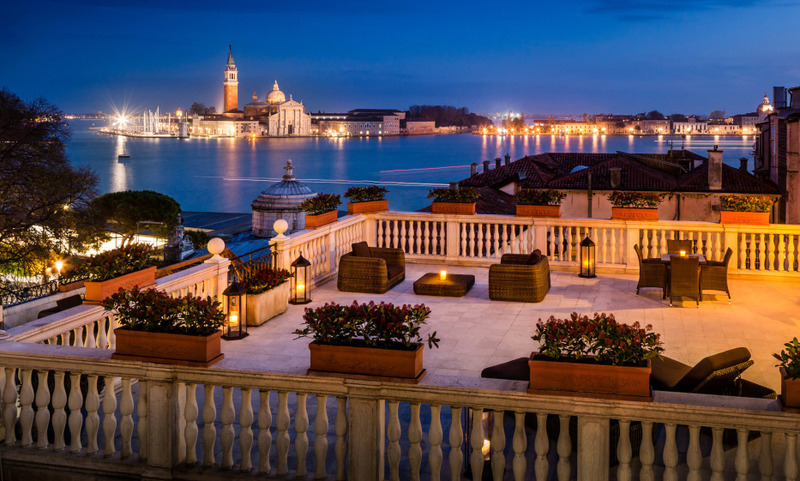 The Baglioni Hotel Luna lives up to its historical setting, with decadent-yet-tasteful rooms, (think silk brocade wall linings and an abundance of Fortuny lamps) a fully-fledged art gallery and spectacular views over the Venetian lagoon and the Royal Gardens. The hotel also offers a host of exclusive Venetian experiences, in partnership with local artisans: make your own piece of Murano glass, and learn the art of gold-leaf making from the last craftsman of his kind in Europe. Ideally positioned a stone’s throw from Piazza San Marco. The Luna Hotel has always been unaffected by the common and short phenomenon of high water. Excellent!!!! The staff is helpfull and friendly. Many thanks to Carolina for her hospitality. I’ll recomend this hotel to my friends. Very good location, everything was very very good in this hotel. It was beautiful. I loved that it had its own dock and a water taxi could take us and pick us up from the hotel. The breakfast was very nice and the service was good. I would definitely stay again! Nous somme très satisfait de l'hôtel et de son personnel. C'était une expérience unique. L'hôtel est très bien situé et très bien situé dans Venise. Le service et la gentillesse de tout le personnel absolument remarquable. Je recommande l'hôtel sans hésitation à mes amis et je reviendrai avec plaisir. A beautiful old world hotel with GRACIOUS and EFFICIENT staff; will book again; Michael was extraordinary! Treated my grandchildren with respect and warm reception-Thanks. We are very happy with the hotel and thoroughly enjoyed our stay. The upgrade to a suite was truly memorable and the service standards were excellent. Superb. The staff was supportive beyond expectations......Umberto, Michele, and everyone!! the hotel is very well placed and very quiet, the rooms are nice and the service is excellent. . . Excellent service through and through. Baggage check in was a little spotty due to rain. Otherwise, we could not have been happier with the room, the service, the check in, etc. Our room wasn’t ready upon arrival, so we were escorted to the bar for a drink while we waited. The next day, the manager met us and offered us a small gift as a token. This hotel exceeded our expectations. Very satisfied with our experience here at Grand Luxury Hotels and our experience at the Baglionio. Thank you Valerie!